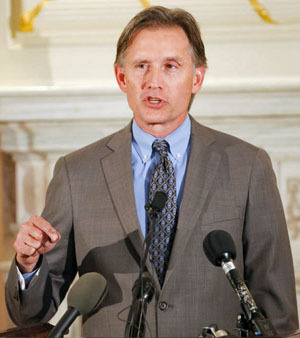 Attorney General Mike Hunter is urging Oklahomans to clear their homes of unused or expired medication by taking them to designated collection sites throughout the state on the U.S. Drug Enforcement Administration’s (DEA) National Prescription Drug Takeback Day, tomorrow, Saturday, Oct. 28. Individuals can access the 30 DEA disposal sites across the state from 10 a.m. to 2 p.m. To find a DEA location, click here: https://takebackday.dea.gov/. Oklahomans can also utilize the 177 Oklahoma Bureau of Narcotics prescription drug drop boxes, located in all 77 counties, year round. To find an OBN drop box, click here: http://bit.ly/1oxBOpf. 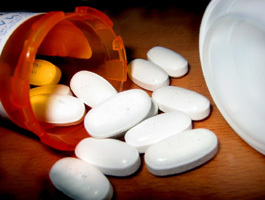 National Prescription Drug Takeback Day is a national effort that occurs twice a year. The effort aims to provide individuals with a safe and easy way to dispose of unused or expired medicine. Attorney General Hunter, who is leading the state’s battle to combat the opioid epidemic, said getting rid of unused medication prevents others from accessing them, in turn averting potential drug addiction or overdose deaths. “There are horrible unintended consequences associated with keeping unused prescription drugs in the home,” Attorney General Hunter said. “Four out of five new heroin users started with prescription painkillers. Studies have shown a majority of abused prescription drugs start from the user obtaining them from family members, friends or the medicine cabinet. Yesterday, Attorney General Hunter hosted the third meeting of the Oklahoma Commission on Opioid Abuse. At the meeting, DEA Agent John Kushnir and Oklahoma Bureau of Narcotics Director John Scully, presented on the Takeback Day initiative and said the drop off locations are easy, convenient and free. 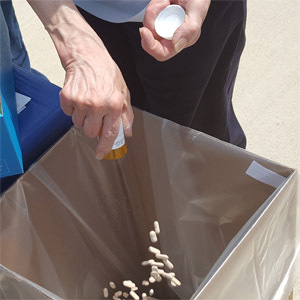 Created in 2010, the DEA’s National Take Back Day promotes a safe, convenient and responsible means for individuals to dispose of prescription drugs. The day also aims to educate the public about the potential for the abuse of unused or expired drugs. • Since the program began in 2011, 151,318 pounds (75.66 tons) of drugs have been destroyed. This entry was posted in Local on October 27, 2017 by admin.